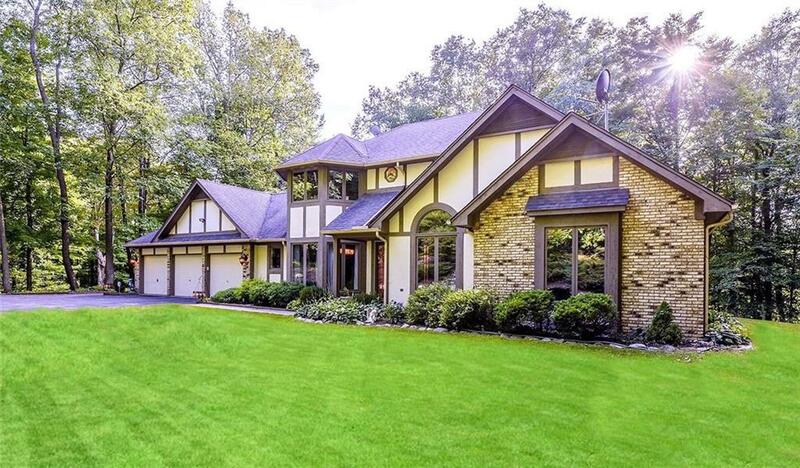 The feeling of up north living with the convenience of being in town, Nestled on over 5 acres this home has been totally updated with a sophisticated palette of colors, textures, and treatments. Upon entering the home notice the stylish chandler hanging above. Every room features a warm yet chic sense of style. For example, every light fixture not only offers function but is truly a conversation piece sure to engage your visitors. While entertaining, your guests will be pulled between the beauty of the interior and the profound effect of interaction with nature on your deck or paver patio while grilling on the built in grill. Beyond beauty this home offers function galore such as a whole house generator, a UV & #1 rated Swiss air cleansing system, home surge protector, brand new flooring throughout and much more. Don&apos;t miss out contact your agent and schedule your private viewing today.